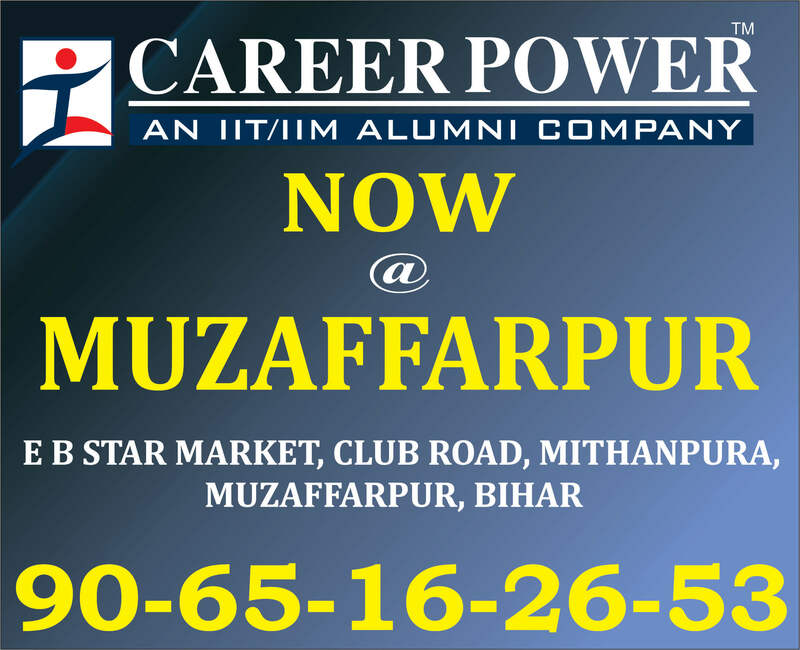 Dear Students, the banking industry gives enormous opportunities to youngsters in the country. The State Bank of India has announced vacancies for the posts of Probationary Officers and Clerks this year. To help you make your grip stronger over the subjects that will be asked in the SBI PO/Clerk examinations, here are subject-wise live batches for SBI PO/Clerk 2019 Exams. There are students who have doubts regarding certain topics the subjects that will be asked in SBI PO/Clerk 2019 Examinations, they are not even able to clear the concepts on their own and want to join coaching classes for the same. 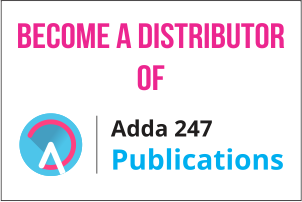 These Online Batches are specially brought up for those who are not able to join classroom programs due to certain reasons. Also, a huge number of students apply and appear for these examinations every year and that's the reason why the fight to get through them is real tough. It's like shape up or ship out, so students, start off your preparations right away. And all that one needs to make the cut is proper guidance so she can take steps in the right direction. 1. 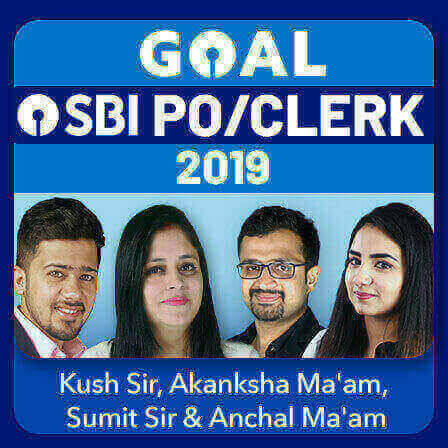 SBI PO/Clerk Complete English Batch By Anchal Ma'am (Live Classes) Join Now!! 2. SBI PO/Clerk and IDBI Assistant Manager/Executive Complete English Batch By Anchal Ma'am (Live Classes) Join Now!! 3. SBI PO/Clerk 2019 Complete English Zero Se Hero Online Batch By Saurabh Dey Sir (Live Classes) Join Now!! 1. 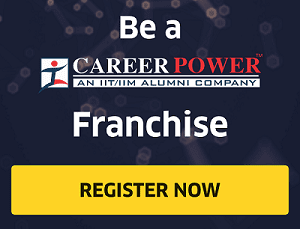 Lakshya 2.0 SBI PO/Clerk (Pre+Mains) Complete Arithmetic and DI Batch By Sumit Sir (Live Classes) Join Now!! 2. Victory (Arithmetic & DI) Batch for SBI PO/Clerk (Pre+Mains) - 2019 By Ashish Sir (Live Classes) Join Now!! 3. Super Special (Quant+DI) For SBI PO/Clerk Pre+Mains Batch By Amit Sir (Live Classes) Join Now!! 1. 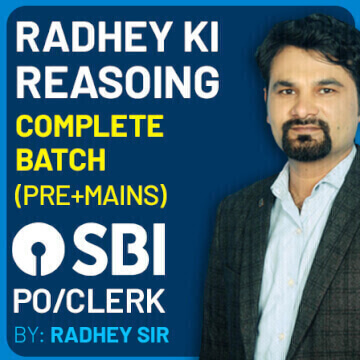 Radhey Ki Reasoning Complete Batch (Pre+Mains) SBI PO/Clerk 2019 By Radhey Sir (Live Classes) Join Now!! 2. 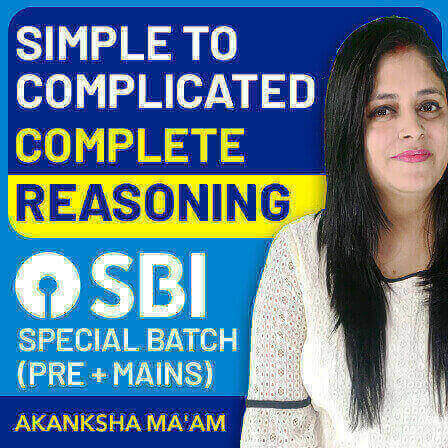 SIMPLE TO COMPLICATED Complete Reasoning SBI SPECIAL Batch (Pre + Mains) By Akanksha ma'am (Live Classes) Join Now!! 3. Reasoning Made Easy For SBI PO 2019 (Basic to Advance Complete Syllabus) By Sachin Sir (Live Classes) Join Now!! 1. 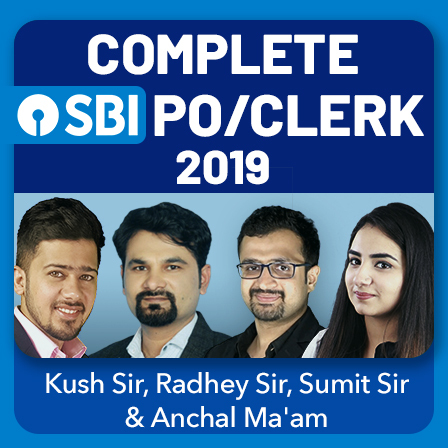 Banker Babu SBI PO/Clerk 2019 Batch With Financial Awareness + 6 Months Current Affairs (Live Classes) Join Now!! 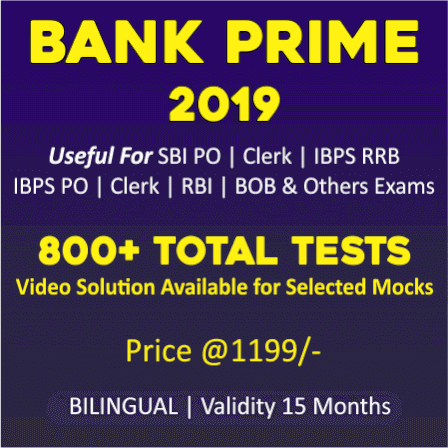 Join Live Batches For SBI PO/Clerk Exams 2019 Now! !